Pilates mat exercise is a challenging yet safe method using slow motion movement to help sculpt and tone muscles, giving your body a long, lean look. The class incorporates key principles such as; postural alignment, breathing, core stability, controlled movement and flexibility. Pilates can aid in flexibility and improving posture as stretching your body is a vital part of class. Each class we will work on to balance all muscle groups, strength and flexibility, with emphasis on challenging the core muscle. Wear comfortable workout clothing. Bring a mat. 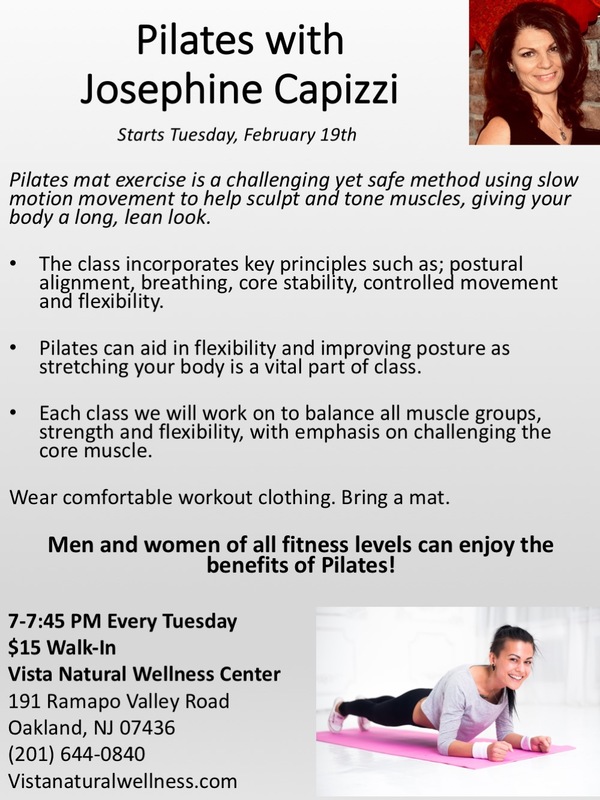 Men and women of all fitness levels can enjoy the benefits of Pilates!